The workships in Rio took place from March 23-24, 2016. The Rio project had been hard to pin down. With only two days to work, it was tough to figure out what was possible. At first I thought a quick stencil mural, but then the wall we were going to paint fell through. Then after skyping with Lorenzo and Daniela at Oi Kabum! 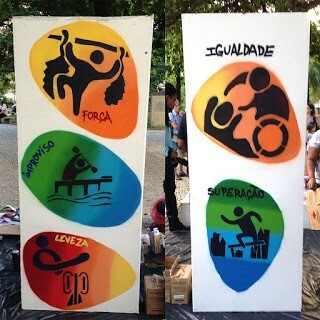 (the youth arts-based organization I would be partnering with) we settled on painting two portable panels on a theme that revolved around the Olympics and Paralympics. 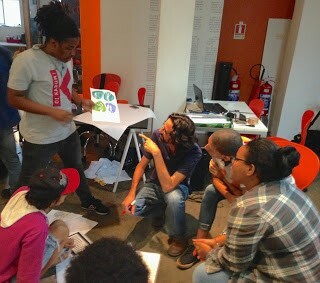 We talked about giving the participants an opportunity to explore how the games would impact the city and the lives of regular folks in Rio like themselves. Two days, one to design and one to paint. No room for mistakes or rain, since we planned to paint in a public square near Oi Kabum! 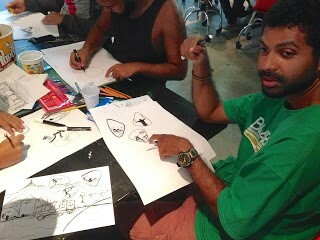 On Wednesday I arrived at Oi Kabum!, a clean and professional looking space with teen artists bustling around. I met my counterparts Lorenzo and Daniela – they reminded me of the impassioned art teachers in lots of places I’ve worked. 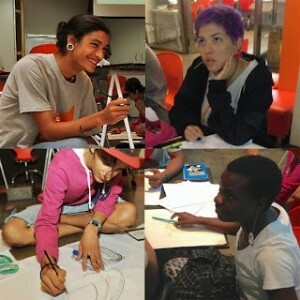 It has a great vibe, multiple studios most oriented toward media arts were filled with young artists conspiring around computers and drawing tables. Our team, which was made up of 18-21 year-olds who had already graduated from the program, started to assemble. 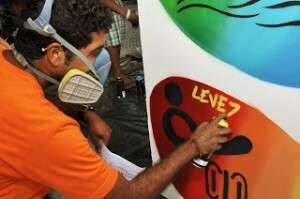 Many came from poor communities, and one of them, Leandro Ice, was an established graffiti artist. It’s a good career opportunity. I can show what I think. It’s the best tool of expression. We all die someday. I want to show I’m more than just my organs. I didn’t choose art, it chose me. Art expresses a social message. Then I gave a presentation that focused on graphic design for the Rio Olympics and showed a few examples of culture jamming- where artists re-figure established images with new meanings. They liked it and were getting excited. 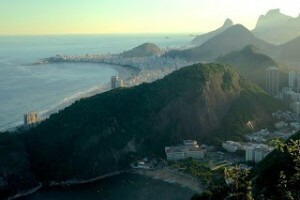 I set up the design assignment – Think about an Olympic or Paralympic sport and then re-imagine it as an activity that happens in everyday life in Rio, and then connect that new image to one of the Oylmpic or Paralympic values. They worked hard – great drawings and serious conversation. 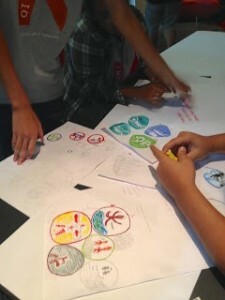 After a while, we gathered to talk about their designs. 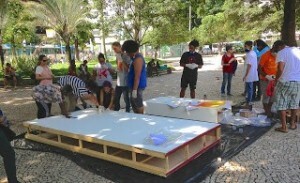 We gathered our materials and made our way to the square where the panels were waiting for us. Show time. 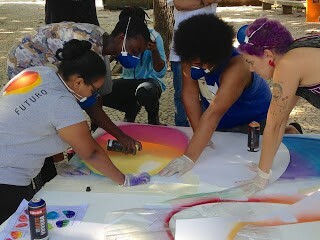 Under the shade of a giant tropical tree we laid out the panels and unpacked the spray paint and stencils. How and where to start? 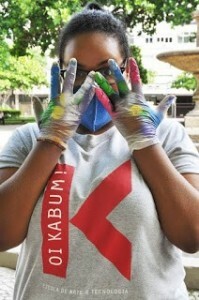 If I started painting, I thought they might defer to me, so I stood back and let them figure it out. Leandro is a pro and takes charge, teaching others spray can technique. We loosened up. 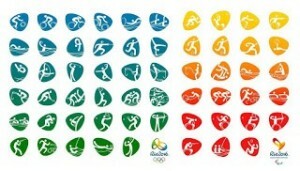 Passersby started conversations with the artists about the project and the Olympics. Some friends and family stopped by. As afternoon slipped into evening, we finished exhausted and happy. Future plans are for the panels to be exhibited at U.S. Consulate events and hopefully a permanent home at the local library. 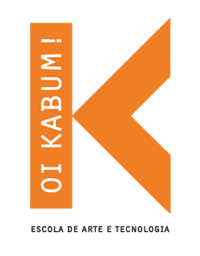 Thanks to all the folks at Oi Kabum!, especially Lorenzo and Daniela for guiding the project and supporting the artists, and Leandro Ice for his skills. Thanks also to Beata and Carla from the U.S. Consulate and Athena from Meridian for your patience and assistance. 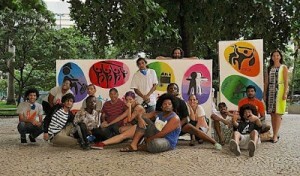 POST TAGS: Arts, Brazil, Community Engagement, Cultural Diplomacy, Global Leaders, health, Human and Civil Rights, Mural Arts, Professional Exchange, Public Diplomacy, State Department, training, Youth.